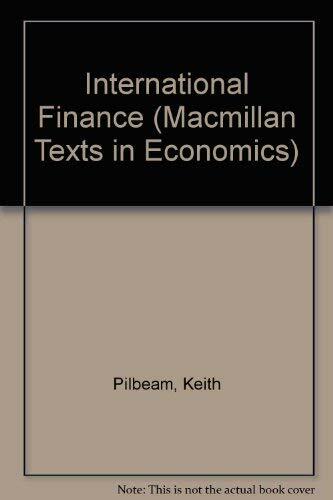 International Finance is a major new textbook for undergraduate and MBA students in international finance, international monetary economics and international economics. It covers a wide range of both traditional and modern theories relating to the balance of payments and exchange rate determination. Similarities and differences between the major theories are highlighted and each theory is followed by a critical appraisal which examines its contribution, limitations and real world relevance. The book is written in a clear and concise style that will enable students to quickly master the major theories and empirical evidence.